A fourth-generation rancher, Gretchen continued her family tradition as owner and operator of the Chase Ranch. 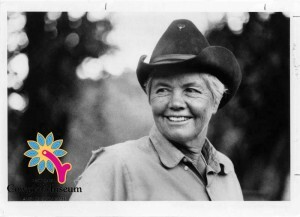 Born to be a ranch woman, she attended college, then taught school while managing the ranch until 1972. A community leader, Gretchen was the first woman to be president of the Northern New Mexico Livestock Association, first woman on the Cimarron School Board and first woman chair of the Colfax County Soil and Water Conservation District.